Author Lily Clayton Hansen believes honest conversations can change the world. The Chicago native stumbled upon her love for interviews as a young journalist nearly 12 years ago. Since moving to Nashville, Tennessee, in 2012, the interviewer, who is affectionately called a “people whisperer” by her subjects, has found her purpose. She gets her joy from giving others a safe space in which they can open up. In Word of Mouth: More Conversations—the follow-up to Hansen’s first coffee table book, Word of Mouth: Nashville Conversations, which sparked collaborations with institutions such as the Nashville International Airport and Vanderbilt University—the author interviews a wide cast of characters from business owners to community leaders and artists. Her intention is to show the textured, complex creative mecca that is Nashville. “One day I realized that there were so many role models living in my own backyard,” she explains. “I began seeking out their wisdom derived from real life experience.” Hansen has launched her own boutique publishing house around the Word of Mouth Conversations interview series, which she has translated to cities such as her native Chicago and London. The series is a way of understanding the communities in which the writer finds herself. What she discovered was that she and her neighbors, no matter their status or socioeconomic background, aren’t that different after all. “Plain and simple, we all go through the same emotions even if our experiences differ,” she says. 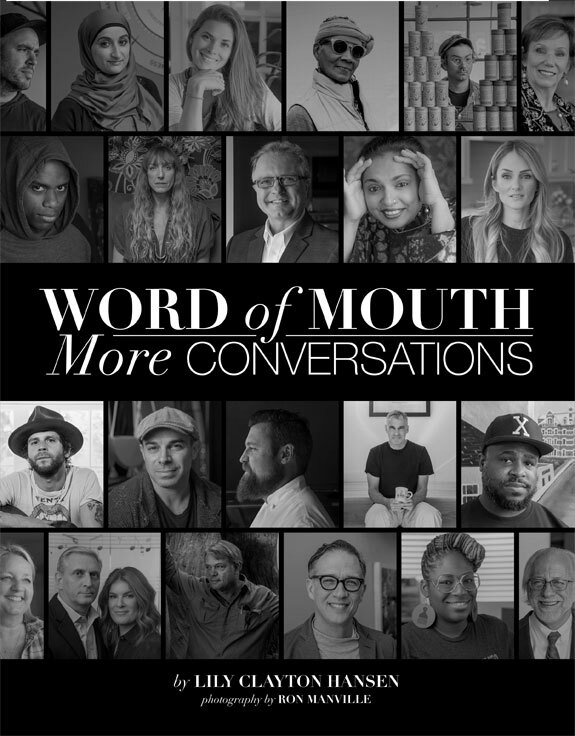 Much like its predecessor, Word of Mouth: More Conversations features intimate interviews with interesting humans (not superheroes) paired with striking photography by Nashville-based, award-winning photographer Ron Manville. 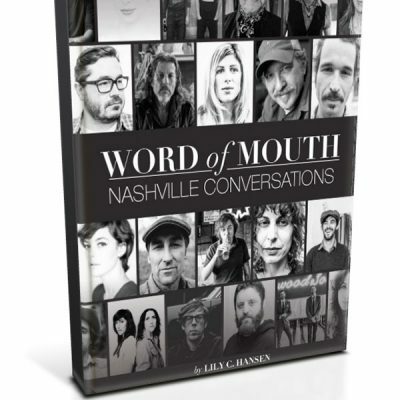 Although the book’s subjects are all based in Music City, Word of Mouth: More Conversations isn’t reserved for readers in a specific geographic region. Its stories about the construction of one’s career path are applicable to anyone. By listening, asking the right questions, and gaining her subjects’ trust, Hansen makes others feel comfortable enough to show their essence. These conversations are proof that, in a world obsessed with image, the most interesting discoveries lie beneath the surface. Word of Mouth: More Conversations is about the art of face-to-face connection. Prefer the eBook version instead? Purchase it here. *Price includes shipping and sales tax. **If you are outside the U.S., please contact author Lily Hansen at Lilychansen@gmail.com to arrange payment and shipping.